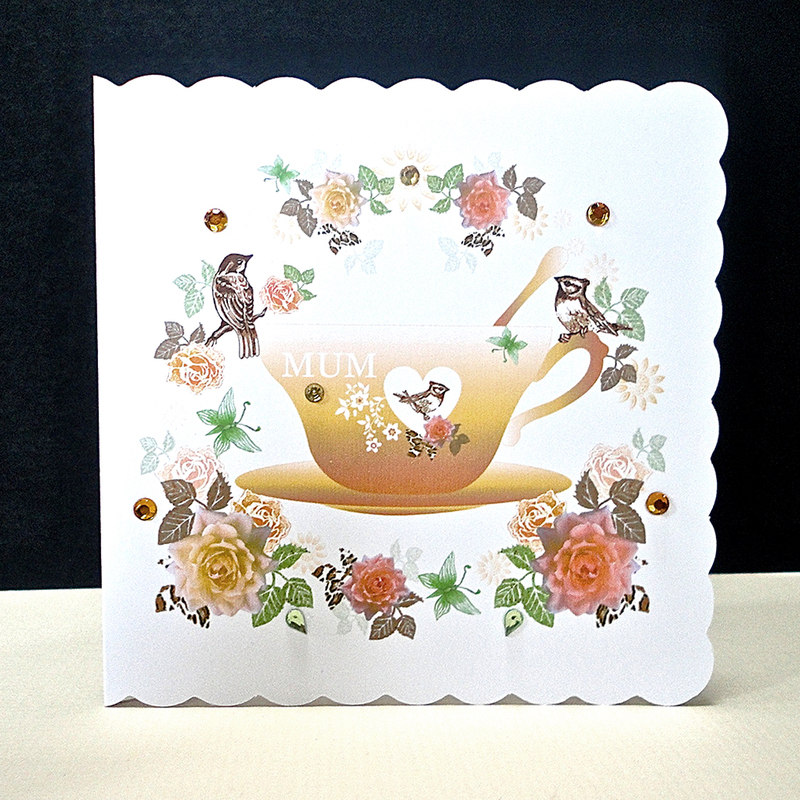 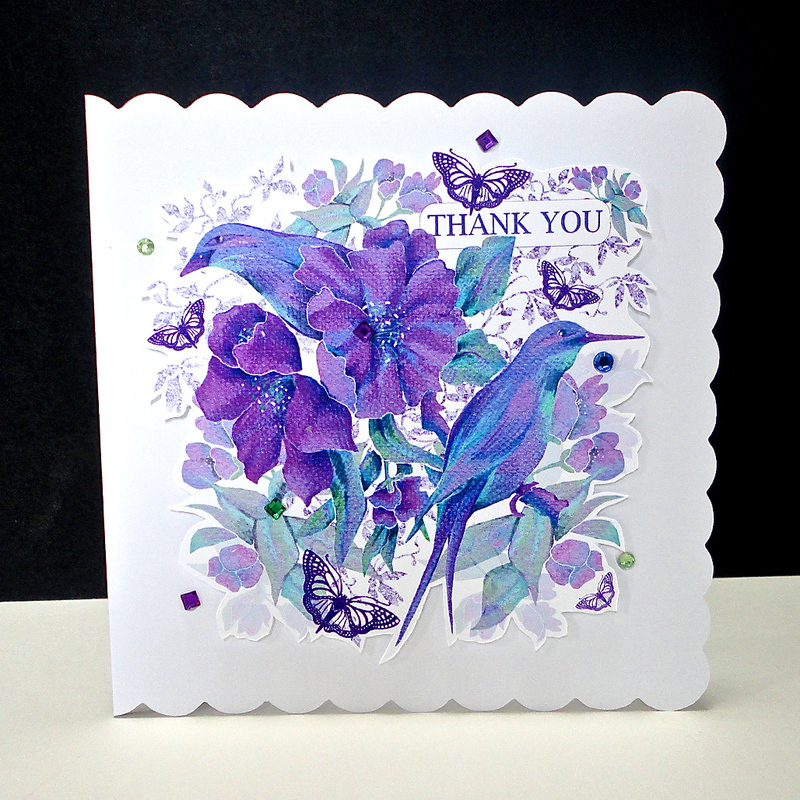 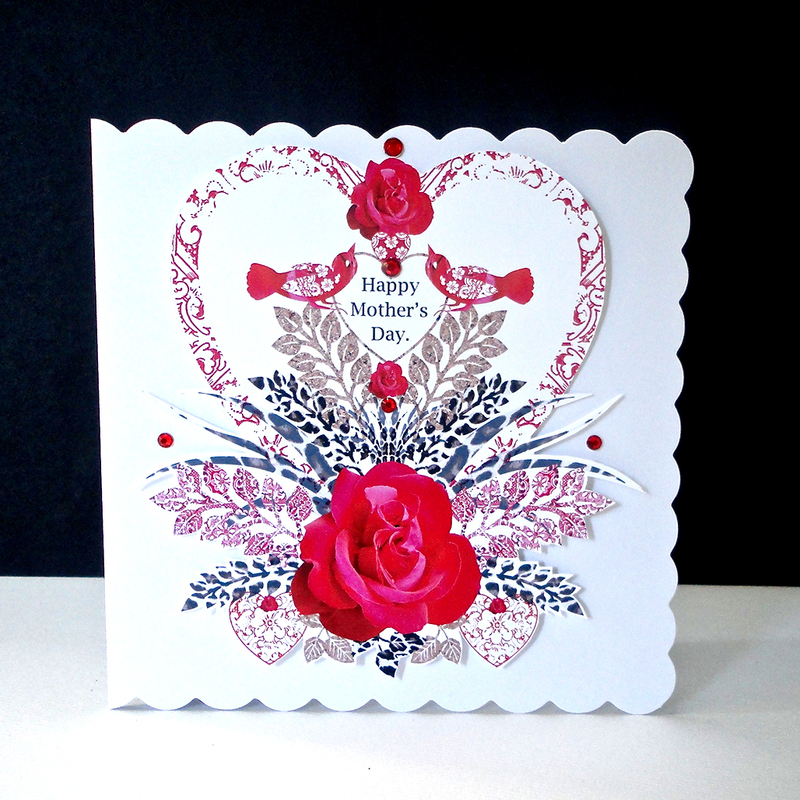 If you need a special thank you card that really shows your appreciation, then this handmade card is an ideal choice. 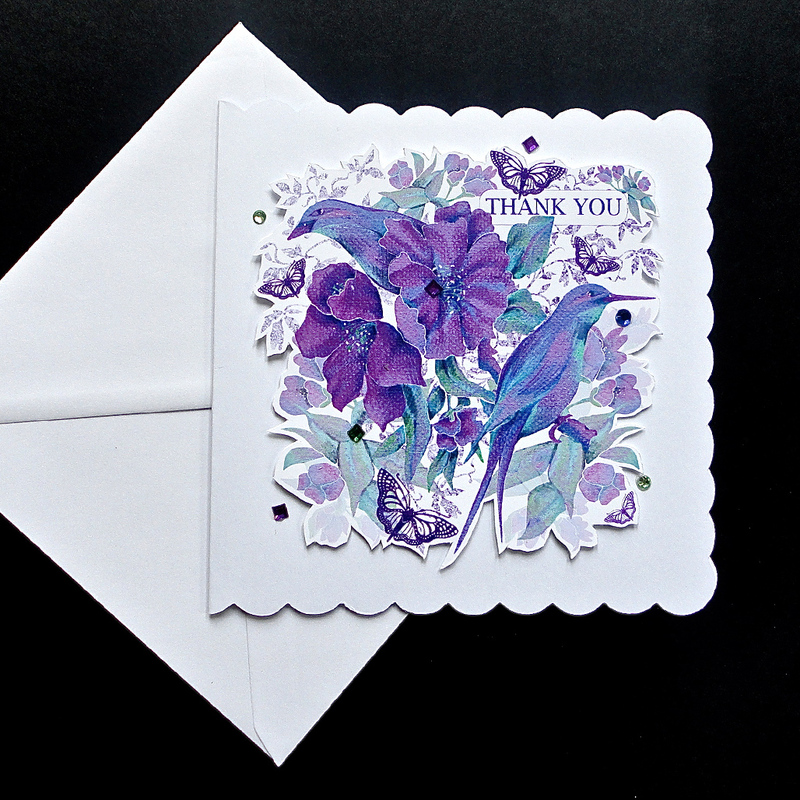 These beautifully-drawn exotic birds, with their floral surroundings, are coloured in tones of blue, turquoise and purple in pastel for a soft textured finish. 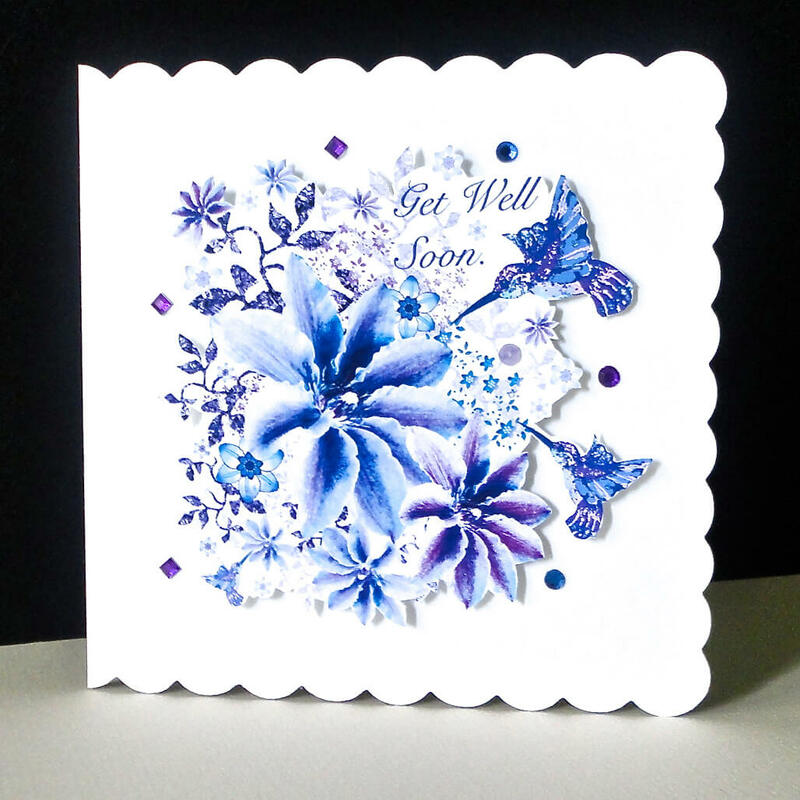 The decorative scene is hand-cut and mounted on a white card with scalloped edging, and finished with purple glass gems. 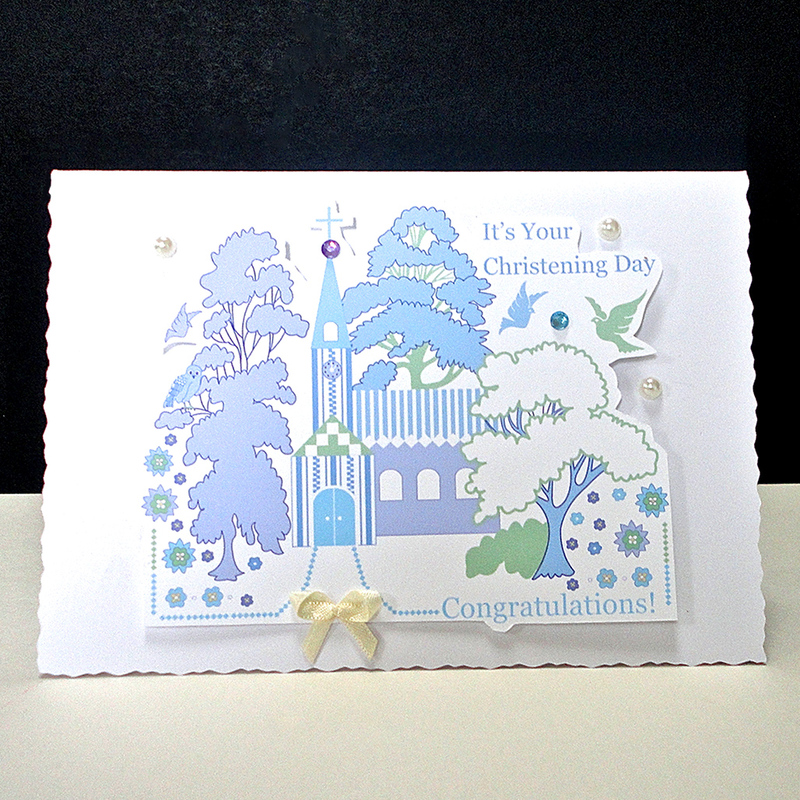 Card size is 150 x 150 with matching white envelope.